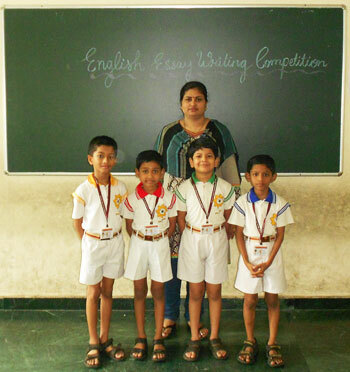 English Essay Writing Competition was held for Std. III, IV and V 25th April, 2013. It helped the students to improve their writing skills and vocabulary, as well as the spellings and punctuations. The essays written by the students were to the point and the interplay of the ideas was very interesting to read. The whole hearted participation of the students was very commendable.